1969 Chevrolet 4 door Chevelle Body SS style Stripe Kit Each Kit Contains: Left & right Body Side Stripes for door, fender and quarter. Left & Right fender stripes. Left & Right front door stripes. Left & Right rear door stripes. Left & Right quarter panel stripes which feature a unique stripe tip both front and rear. 1969 Chevelle SS Body Stripe Kit. This kit was first offered by us in 1989. 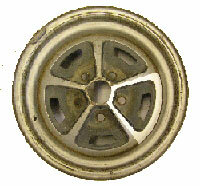 This kit was reproduced using original NOS GM fender, door, and quarter stripes. Along with color choices including the correct off white that GM used we offer red, black, metallic blue all based on the GM stripe colors in the original NOS boxes and an optional paint stencil. We Were Second to offer a stripe kit for the Chevelle series 1n 1989.Note: Beware of “cheap” kits! 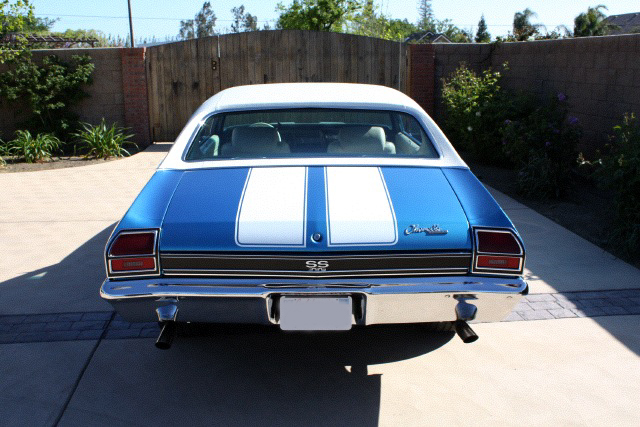 We have gone to great lengths to get the “correct” color in all our Chevelle stripe kits. Starting with original GM stripes and including the correct ivory pigmented 2-mil vinyl EXACTLY like GM used on the assembly line.